AVI format is the abbreviation of “Audio Video Interleave” or “Audio Video Interleaved”. It is a multimedia container format which was launched by the company Microsoft in 1992. These AVI files contain both audio and video data synchronized together in audio-with-video playback. Now the question arises why we need to convert AVI to MP4. MP4 was developed by International Organization for Standardization. It is a new and upgraded format.It is a digital container multimedia format. It is used to store audio video as well as other data like text etc. MP4 is most commonly used in these days and is compatible with almost every player like VLC player, Windows Media Player and Real player etc. Its quality is much better than AVI that’s why most people prefer to save their videos in MP4 format. There are many methods to convert AVI to MP4. Some of those are discussed here. This software is the product of a Chinese company known as Wondershare.Wondershare has a name in the World of software and application development. The main goal of Wondershare is to provide simple, easy to use and effective applications and softwares to its clients. The software is available for both windows and Mac. All the guidelines are provided on the website of the software. Trial version is also available for the clients so that they can try it first and then buy it if the software is up to their mark. 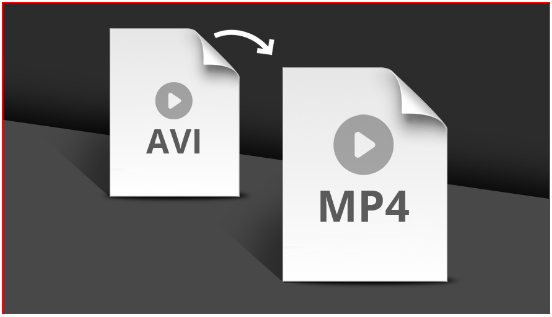 Following are the steps to convert AVI to MP4 using Video Converter Ultimate. 1. On the left corner of the software window there is a button of “Add files”. By clicking this button, a new window pops out where one can select any audio or video file which is to be converted. The file can be dragged and dropped in the converter. More than 1 file can be converted at single time. 2. After adding the file in the converter select the format in which the file will be converted. As we are converting our file to MP4 format so select MP4 and also select the quality in which you need your file to be converted. Qualities like 4k, 1080p, 720p etc are available in the converter. 3. After everything is set. Just click on the Convert tab and wait for the software to convert your file. 4. Your file has been converted from AVI to MP4. 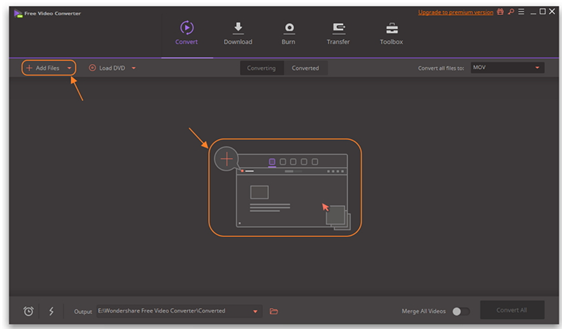 The premium version of the Video Converter Ultimate is the best one as it is easy to use and easy to understand moreover many features other than conversion like editing, downloading are also available to use if you buy this converter. You have to spend some money but it will be worth it. 2. The second methodfor converting the files is also launched by Wondershare which is “FREE VIDEO CONVERTER”. It is the free version of Video Converter Ultimate. It has same functionality, same method, same steps, and same efficiency but with some less features than the ultimate version. Like Ultimate version free video converter is also available for Windows and Mac. In ultimate or premium version the files downloaded, burnt or converted are watermark free while the watermark of the software will be visible in the free version. Free version has ads in it while the ultimate version is ads free. Videos only from YouTube can be downloaded with the help of free version while the ultimate version supports downloading from 10,000+ websites. Steps to convert files in Free Video Converter are very simple. Just upload the file you want to convert, select the desired format and quality of the output file and then click on convert. 3. The third methodfor conversion is also the product of WondershareCompany which is “ONLINE AUDIO CONVERTER AND VIDEO CONVERTER”. It can be used online as well as can be downloaded free for your desktop. It is website based software. It can convert many formats like MOV to MP4, AVI to MP4, WMV to MP3, and WMV to MP4 etc. 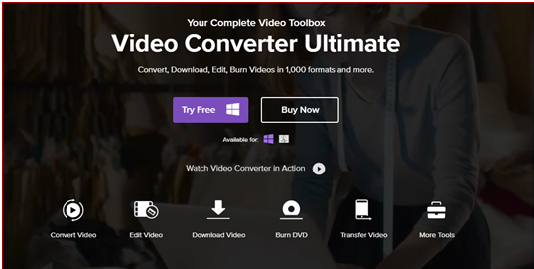 The steps of conversion are as simple as in Video Converter Ultimate and Free Video Converter. 1. 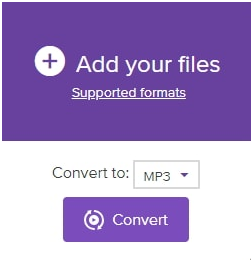 Click on + Add your files to add files which you want to convert. 2. Select the format in which you want to convert the file. In our case we are converting to MP4 so select MP4 in the down arrow menu. 3. Now click on the convert icon to start converting. 4. You can download the converted file to your desktop computer or can save it in your Dropbox if using Mac. You can check the supported formats by clicking on the Supported formats icon. It supports a large number or audio and video formats. Other than these converters many other companies are also providing users with a variety of softwares for conversion. Now as we have many choices but the most preferable and the most effective method of conversion is to use Wondershare Video Converter. With the help of this converter the conversion is as easy as 1, 2,3. The conversion speed is very fast and it can be done in just a blink of an eye. This converter is not less than a blessing for those who are tired of spending money to buy softwares, using different softwares but didn’t get the desired quality. As mentioned earlier the trial version is available for the users to first check the functionality and results of the software and then buys it. Moreover with the help of Wondershare Video Converter you can not only convert your audios or videos, you can also edit your videos. A variety or filters, colors, frames etc are provided in the software for editing. This converter also helps to burn videosand download videos from a range of websites. Many more features are also provided in the software which can be explored as per requirement of the user. 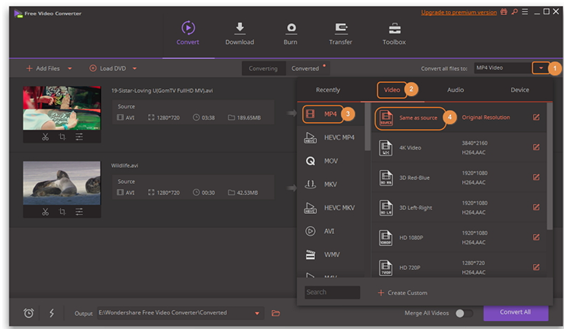 I have personally used this software and I prescribe Wondershare Video Converter to every single one of the clients since it is easy to understand, straightforward and have a quick speed of transformation. I am using this software for a long time and still use it whenever I have to convert any of my audio or video file and I am 100% satisfied with the results. How IOTransfer 3 Can Help iOS Users’?